Aerial view of small town in snowy cold forest. Snow on trees. Foggy sky. PULLBACK. 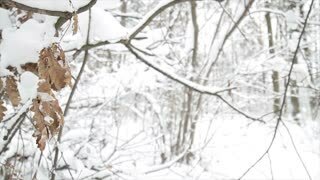 Snowy forest. Fabulous winter. A lot of snow on the trees. Snowy pine forest. 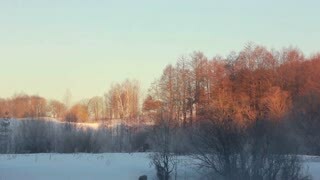 Trees, snow and sun. 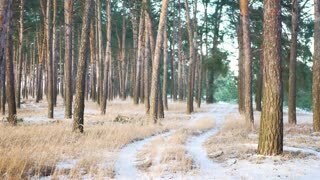 Winter road in a snowy forest with pines and spruce trees on a beautiful cold day. 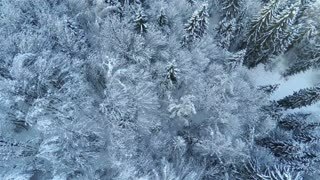 AERIAL 4K: Flying above white snowy forest. 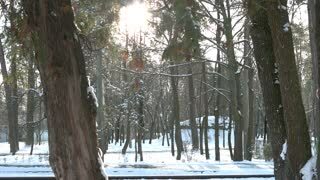 Winter shot of trees covered in white snow, while sun shining.